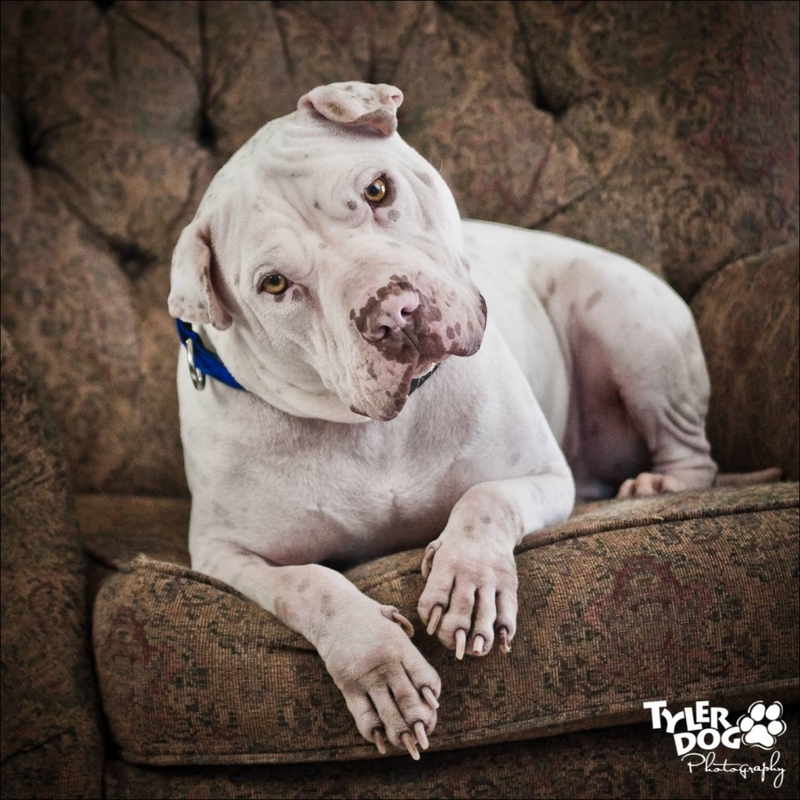 This week’s success story is a gorgeous Shar Pei / Pit Bull mix named Hercules. This poor boy grew up in a small crate, and while he grew larger, the crate did not. It left Hercules bowlegged and bowed, hanging his head down almost all the time. 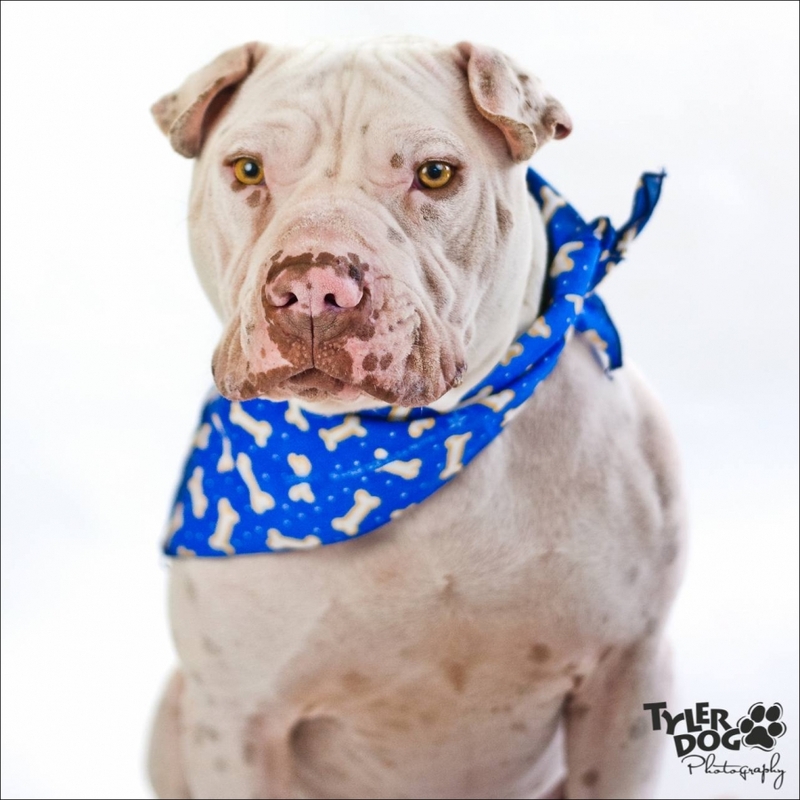 At the tender age of six months, Mighty Hercules had all but given up hope of a happy ending when a caring rescue group heard about him and pulled him from the shelter – covered in mange, bleeding, and with a broken spirit. He spent several days at the veterinarian being treated for his ailments, then his journey began. Several rescue groups, hearts all in the right place, tried to help. Unfortunately for Hercules, it meant a lot of foster homes where he didn’t fit in, couldn’t stay, or had to go back time and again. Once Hercules thought he had his forever home only to be returned a week later, landing back at the vet’s to be boarded. Back in a cage. Giving up hope. It appeared Hercules’ chance at a forever home was growing dimmer by the day . . .
That’s when Lori and Richard at Haven of Hope Rescue Foundation stepped in and said “Enough’s enough!” They brought him home to their rescue and after a few months of unsuccessfully searching for someone to adopt Hercules, they decided he’d become a permanent member of their family. Now, a few years later, sweet Hercules has turned into a handsome boy who’s not afraid to raise his head, wiggle his tail, or grin with that huge mouth of his. He loves his chewies, being outdoors and playing, but most of all, he loves Lori and Richard. They opened their hearts, fixed his broken spirit and gave Mighty Hercules a reason to be happy again. For more information or to inquire about adopting any of their available dogs, visit Haven of Hope Rescue Foundation.